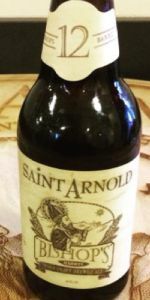 This is where the Saint Arnold brewery gets to play around with new flavors. Each one of this Bishop’s barrel are different, and they are similar to how the Divine Reserve beers work. This one was very good.